Interlochen gift shop, Eclectic Avenue, requested a custom-made, exclusive nail polish just for her shop to carry! I'm here to share this fun, sparkling glitter nail polish with you today! Turquoise butterfly shaped holographic glitters swim among neon pink, purple, green and orange dot glitters, and a light dusting of shimmering iridescent glitters! 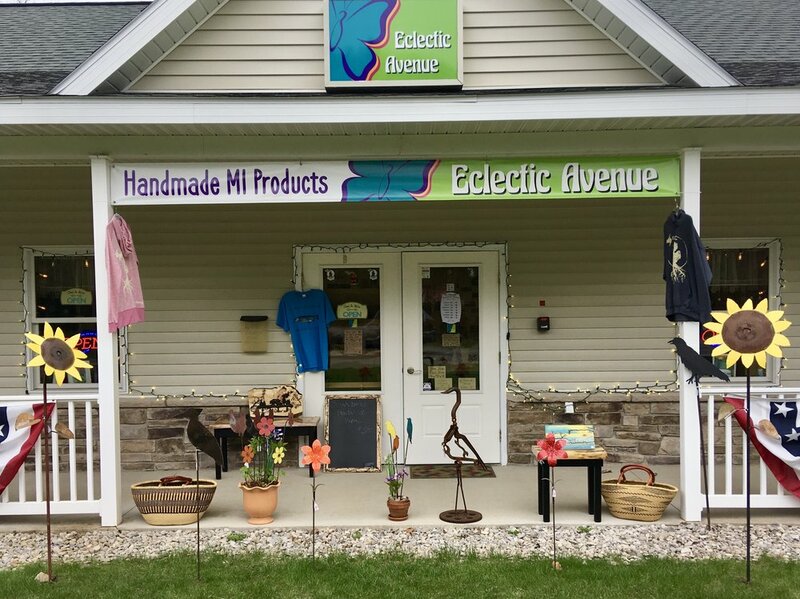 Visit her shop in Interlochen to check it out in person and shop all her other amazing local artisan-made gifts, too!